In April 1945, after the death of Franklin Delano Roosevelt, the presidency fell to a former haberdasher and clubhouse politician from Independence, Missouri. Many believed he would be overmatched by the job, but Harry S. Truman would surprise them all. Few chief executives have had so lasting an impact. 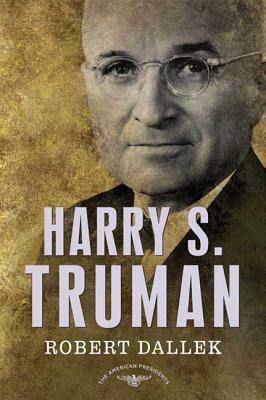 Truman ushered America into the nuclear age, established the alliances and principles that would define the cold war and the national security state, started the nation on the road to civil rights, and won the most dramatic election of the twentieth century—his 1948 "whistlestop campaign" against Thomas E. Dewey. Robert Dallek, the bestselling biographer of John F. Kennedy and Lyndon B. Johnson, shows how this unassuming yet supremely confident man rose to the occasion. Truman clashed with Southerners over civil rights, with organized labor over the right to strike, and with General Douglas MacArthur over the conduct of the Korean War. He personified Thomas Jefferson's observation that the presidency is a "splendid misery," but it was during his tenure that the United States truly came of age. Robert Dallek is the author of several bestselling presidential histories, including Nixon and Kissinger: Partners in Power; An Unfinished Life: John F. Kennedy, 1917–1963; and the classic two-volume biography of Lyndon Johnson, Lone Star Rising and Flawed Giant. He has taught at Columbia, Oxford, UCLA, Boston University, and Dartmouth, and has won the Bancroft Prize, among numerous other awards for scholarship and teaching. He lives in Washington, D.C.
Sean Wilentz, a professor of history at Princeton University, is the author or editor of several books, including Chants Democratic and The Rise of American Democracy. He has also written for The New York Times, the Los Angeles Times, The New Republic, and other publications. He lives in Princeton, New Jersey.